If you have plans to go to London until the end of the week, to visit Winter Wonderland or one of the thousands (expensive) Christmas markets spread through the city, well, we suggest you a way more tempting alternative. Until December 13, in fact, the only unmissable event in the capital city of the Kingdom is the Ai Weiwei’s exhibition that takes place at the Royal Academy of Arts, in the crowded Piccadilly. Until December 13, in fact, the only unmissable event in the capital city of the Kingdom is the Ai Weiwei’s exhibition that takes place at the Royal Academy of Arts, in the crowded Piccadilly. 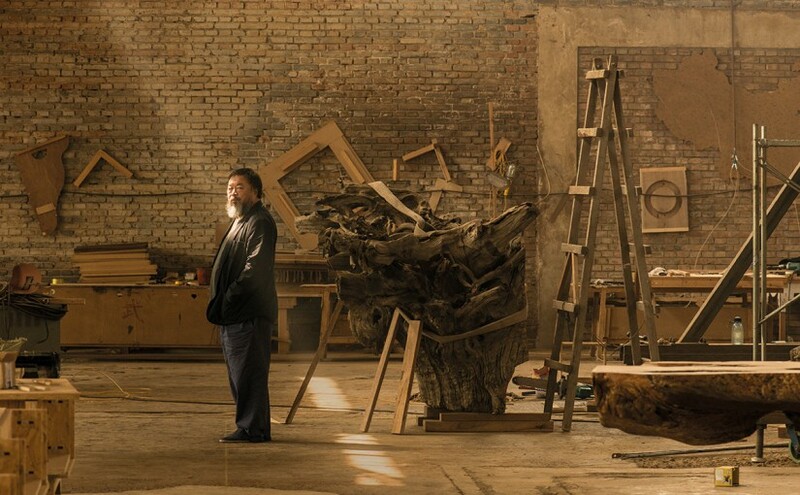 Ai Weiwei’s reputation precedes him, and nobody knows if he is more famous for his skills as an artist and an architect or for his political and social commitment, commitment that has seen him also incarcerated by the Chinese government for 81 days. No doubt all this peculiarities of him stand out from the retrospective London dedicated to him, the biggest ever realized in the city, even though Ai has already worked in London five years ago for the famous “Sunflower Seeds” installation at the Tate Modern. The retrospective opens up to the city in every sense: once reached the public courtyard of the Royal Academy of Arts, in fact, one collides right away with the Trees installation, made up of eight trees that naturally died in the mountains of southern China. The installation has been funded by a RA Kickstater campaign, that has seen more than 1300 backer and over 100.000 pounds collected. Inside the building, the retrospective runs through 11 galleries, each of which greets the guest bluntly, leaving him immediately in front of the current piece of art. Pieces that are often majestic, and always full of meaning. Disarming is the installation, in the third gallery, regarding the 2008 Sichuan earthquake: on the walls we found the names of the children who died in the destroyed schools; on the floor reinforcing steel bars, coming directly from the collapsed structures and illegally recovered by Ai. Not less powerful is the series of works in the next gallery, who narrate the sad conclusion of Ai’s studio in Shanghai, asked for by the municipality and then destroyed nearly completed by the government, as a revenge for the extremely critical opinions Ai has had towards it. In a corner takes place the famous installation He Xie, a cascade of river crabs representing dissidence, since the word, meaning both crab and harmonious, is used by the opponents to exemplify how the regime tries to create an harmonious society, deprived of contestants. The exhibition continues placing the visitor constantly in front of themes such as privacy or perception of measure, until arriving at a realistic representation of Ai’s life in prison, made through eight model portraying real life situations lived by the artist during the incarceration. The spirits are lighten only at the end of the exhibition, where the site – specific installation Bicycle Chandelier stands out, a piece of art realized by Ai expressly for this exhibition. Therefore, if you happen to be in London in the next few days, you cannot miss this experience. To meet the visitors’ needs the Royal Academy is opening up for 56 hours straight during the final weekend: an after party at an art gallery has never been so tempting.